What do you think is the best primary care paediatric resources? In my experience, I have yet to find a complete resource that beats the paediatric pearls website. Created by Dr Julia Thompson and her team, based in London working for the NHS, paediatric pearls regularly produce and update paediatric newsletters for both primary care (general practice) and emergency medicine. In addition, they collate guidelines for condition management and referral guidance for most paediatric conditions. 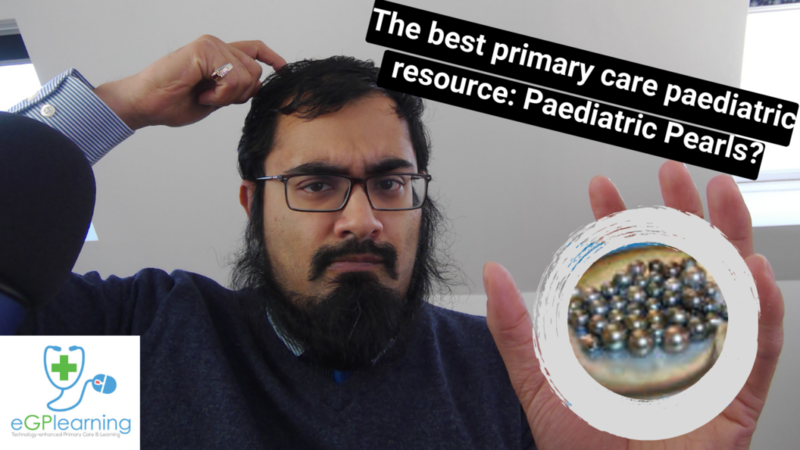 As a result, paediatric pearls is an excellent resource for helping with your continuous professional development (CPD/ CME) especially for GP trainees (AiT). Check out the site above or find it on our eGPlearning Paediatric resource page.